Your group is going to love the Tennessee Aquarium, one of Chattanooga's top attractions! 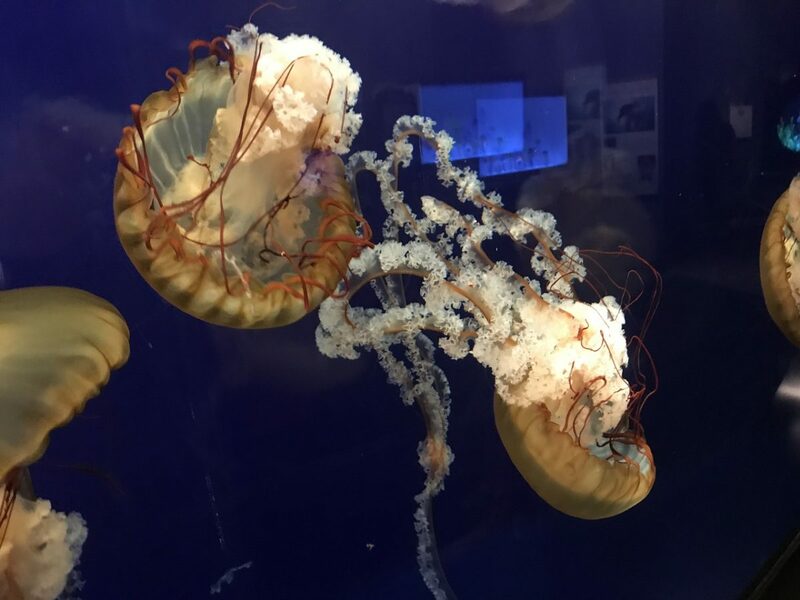 Located on the beautiful downtown riverfront, this aquarium has been rated the best in America for overall guest satisfaction, seeing over 750,000 visitors. It has been celebrating the rich diversity of the southeast since first opening in 1992 and is part of the elite group of educational institutions accredited by the AZA (Association of Zoos & Aquariums). During your visit, your group will be able to explore two different buildings, one being the River Journey building, and the other being the Ocean Journey building. Within River Journey, you will trace the path of freshwater from the mountains to the sea, 25% of the countries freshwater species actually found in this very region. See otters, alligators, trout, catfish, and turtles and learn all about this 'global biodiversity hotspot' through exhibits such as the Mississippi Delta and River Giants. Within the Ocean Journey building, you will explore various saltwater habitats and see their inhabitants such as penguins, stingrays, sharks, and live coral reefs. Visit exhibits such as Lemur Forest or Butterfly Garden here! There will be daily animal programs you can take part in while here, as well as several different daily options for IMAX 3D shows to watch, each lasting about 45 minutes. If you would like, you can even order boxed lunches from Zaxbys or snack packs for your students to enjoy during the movie! Be sure to download the Tennessee Aquarium app before your visit to stay up to date with daily programs, IMAX show times, and tours available.